The school year is over for most students, pools are filled with water, and mowers are trucking away around the neighborhood. While it may not technically be summer, it’s safe to say that summer has arrived. And like most summers, the backyard deck and patio will become the spot to be as family and friends join together to soak up the sun and eat delicious food. And you can’t have a summer celebration without grilling up your favorites. That’s where the Gourmet Guru Grill comes in. It’s the perfect grill for those who like being the envy of the entire neighborhood or simply enjoy eating delicious food. Here are a few other reasons why the Gourmet Guru Grill is a must-have for your summer celebrations and get-togethers. The Gourmet Guru Grill is not just any other grill. 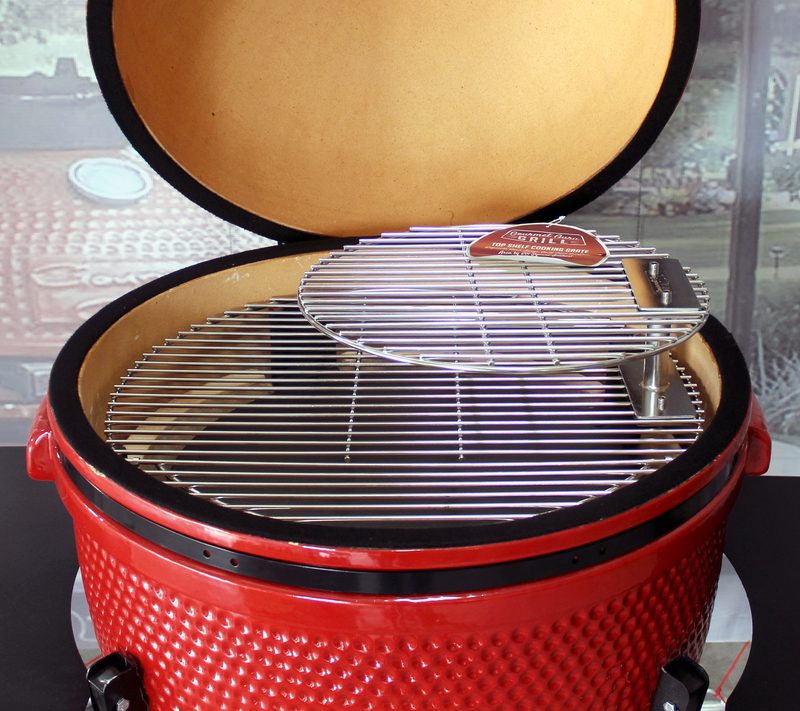 This ceramic, kamado-style grill can bake, roast, and smoke foods to give you flavors that you have never tasted before. It’s the best during the summer because you can break out of the usual cooking of chicken wings and burgers and move on to things you never thought you could cook with a grill. Getting to cook outside is also an added plus during the hottest days of the summer. You don’t have to worry about adding more heat to the kitchen each time you want to bake up a pie or crave homemade pizza. A quick search on the internet will give you hundreds of ways people are using their kamado grill to bake desserts, pizza, and even bread. TIP: Since the Gourmet Guru Grill holds temperature evenly and consistently, remember that it is easier to raise the temperature than it is to lower the temperature. Another reason to get your hands on a Gourmet Guru Grill for the summer is more about numbers. Summers are packed with cookouts, family reunions, and summer holidays. This means that there are a lot of mouths to feed. Don’t worry. With the Gourmet Guru Grill, you can get everyone fed! Our Extra Large Grill has 24 inches of cooking surface. That’s a large space to cook up burgers, hot dogs, and a few Cornish hens. You can also get more space by adding in our Top Shelf Cooking Grate. This little accessory will add 201 inches of cooking space to your grill. It can be used on our Large or Extra Large Grill. The swivel top shelf is also great for cooking indirectly. TIP: Make cooking for large groups easier by planning ahead. This could mean having appetizers ready for when guests arrive or pre-cooking as many dishes as possible. Whether you are having 5 or 50 people over for the weekend, you always need the same things to keep the party moving. 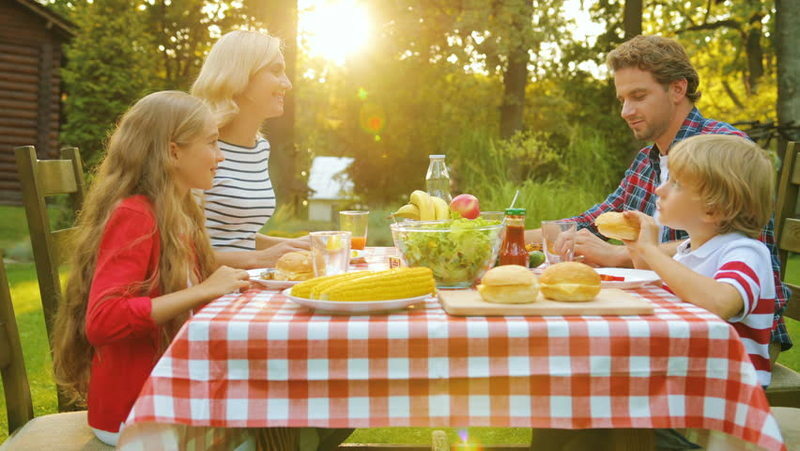 Here is a short list of items to add to your food list in order to have the PERFECT cookout. TIP: Make a list of food you will need BEFORE going to the store. This will help you remember what you need and may result in fewer trips to the store. Having people over for an afternoon of food and fun can be stressful, especially if you use a grill that isn’t consistent with cooking. While the Gourmet Guru Grill can’t do everything for you, it can help you create savory and mouth-watering dishes that are sure to get you two thumbs up. For more information about our grills, cabinets, accessories, and recipes, visit our website. Have questions? Use our WHERE TO BUY page to locate a Gourmet Guru Grill Dealer near you. And don’t forget to find us Facebook for more tips and recipe inspirations.